Over at Pretty in Dayton, did Styrch choose to be "Beauty" or the "Beast" for her avant garde photo shoot with local photographer Kidtee Hello? There's a new girl in town and her name is Sunday Riley. 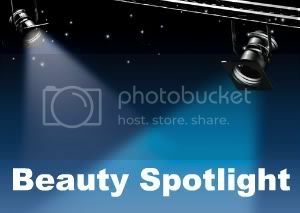 Beauty Info Zone has the first of several posts about Sunday Riley eyeshadows. Come see what the fuss is about. Perilously Pale has found the most mouthwatering blush that she thinks will flatter almost every skin tone from fair to deep with Rouge Bunny Rouge Original Skin Blush in Orpheline. Modesty Brown share the beautiful and very versatile Le Metier de Beaute Aurora Lip Kaleidoscope. There's also some exciting news for European LMdB fans! Trip to London planned? London Makeup Girl tells you where to find some British beauty bargains in her Guide to Less Expensive Beauty Shopping in London. In an attempt to simplify her routine, Zuzu's Petals at Everyday Beauty tries in vain to find a single brand that meets all her needs and wonders if you've found yours. Lisamarie from Beauty Crazed is ready for spring already and has the nails to prove it! Check out her swatches from the Sephora by OPI Bohemian Brights Spring collection and see if you don't get a touch of spring fever too! Paula, from Older Girl Beauty, talks about the new product line from Burt's Bees called "güd" that has scents so good it made her act like a fool in Target. The Pink Sith has made her justification to get the Chantecaille Coral Reef Palette. Can she provide one for you? At Lipstick Musings, Shannon's found the coolest eyeliner collection EVER with the new Ultraflesh Black Magic palette! Prime Beauty fell in amour with Lancôme's new Rouge In Love High Potency Lip Color in In Corail, see why it completes her. Are you ready to embrace your inner Tinkerbell? Then you *must* check out Pixi's new Disney collaboration palette: The PixiGlow Fairy Face Palette. Pammy Blogs Beauty thinks it is a must have for an enchanted Spring!